The Deep Roots Music Festival is an annual family-oriented festival, held in Wolfville in September, and is well supported by the Annapolis Valley community. The Festival has proven to be an excellent source of entertainment for Valley residents and visitors of all ages. As we celebrate the final weekend of summer, the Festival, its organizers and volunteers provide visibility for the Valley community at the regional, provincial, national, and international levels. Click here for profiles of artists participating in this year’s Deep Roots Music Festival with details on when and where they are scheduled to perform. The annual Deep Roots Music Festival could not happen without the support of our many sponsors. We cannot express our gratitude too often and we encourage people to support the many businesses who continue to believe in and help make our festival possible. The logos of Partners, Patrons, Builders, and Grant providers, with live links to their sites, are here on our website – please take some time to check them out. We also want to acknowledge our Contributors and Friends. Big thanks going out to all of you! The Valley Arts Award is presented each year at the Deep Roots Music Festival to honour someone who lives (or has lived) in this area, and has made significant long-term contributions to the Arts in the Annapolis Valley. We are happy to announce that Darrin Harvey is this year’s Valley Arts Award recipient. 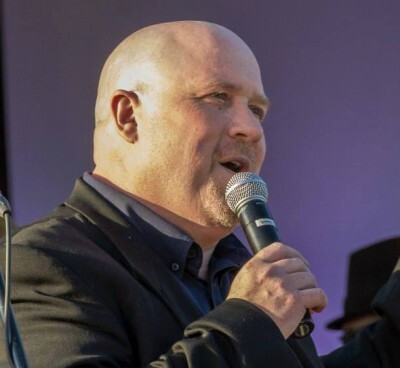 Click here to read all about Darrin’s ongoing involvement and contributions to the arts. 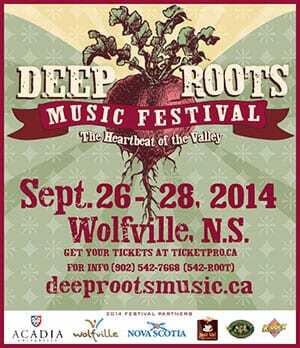 Our 2014 Deep Roots Music Festival Program booklet in now available for download in PDF format. Although the deadline for early bird passes has now passed, Full Festival Passes are still a great bargain at $95 Adult, $69 Student, service and tax included. The Festival Pass grants admission to all ticketed events Friday, Saturday & Sunday at Festival Theatre and at the Al Whittle Theatre. The pass does not include the Late Night Shows at the Old Orchard Inn. Only Festival Pass holders have access to the Festival Club and this year, not only is that a place to get refreshments throughout the weekend, it’s also a place to sit in on some spontaneous serious jamming by festival musicians. 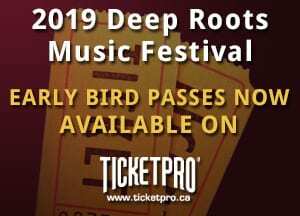 Deep Roots is really pleased with the number of early bird passes sold this year, Obviously, people are making sure they get seats this year! It bears repeating … last year, shows sold out. 2014 Festival Artists – Sneak Peek! The lineup for this year’s festival is really starting to shape-up! The Early Bird Special– a ridiculously low price of $79 for a festival pass–is ongoing until June 30th. Still undecided? Here’s a sneak peek at our lineup confirmed so far. We are happy to announce that we have hired Rachel Lutz as the Assistant Festival Coordinator for 2014. Rachel is studying Politics at Acadia, and has been very active in our local arts community. She will be running the office and assisting the Festival Committee with our work, starting May 26th.